You need to have python2.7 installed. Set rpdb2 to wrap all signal handlers. Attach the newly created debugger to Winpdb. I've developed a small RESTful service with Tornado and I wanted to generated doc for the exposed API. Lucky me, someone already thought about it and created the sphinxcontrib.autohttp.tornado addon for Sphinx. If you add a decorator to your handler methodes, be sure to use functools.wraps or functools.update_wrapper to copy the docstring of the original method to the function returned by the decorator. Find a movie and decide to watch it. 6 clics further on the Microsoft website, before the update can be downloaded, a genuine windows code must be entered. The code is given by a application to download and execute on the computer. Windows Media player 11 scan fails again. During reboot, some system updates are applied. The payement is rejected because a foreign credit card is used. Starting the movie in streaming from Linux with Firefox. This is my conf to stream my Linux desktop screen in my apartment using VLC. In 2009, I bought a Iolair MB24W, one of those with a MVA display. Except the time when I had to reset the screen to restore the EDID (Press M, +, - until the blue led blinks 3 times), the screen works fine ... until recently. The screen switches on but stays white. No picture at all, not even the OSD menu. Following on the first part of the Blync hack, I want to be able to control the color from a terminal. 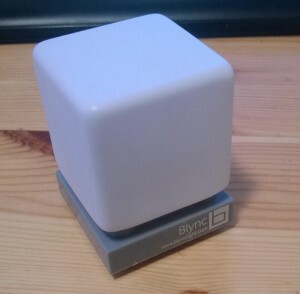 There is funny little usb gadget called the Blync identified by VID: 0x1130, PID: 0x0001.